Welcome to our new Rotarians! 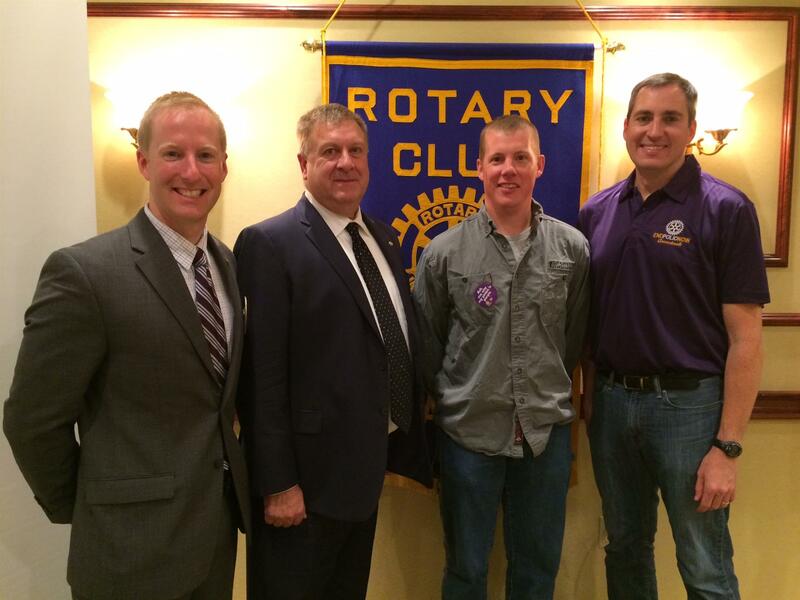 The Presque Isle Rotary Club recently inducted two new members—Brian Carpenter, SAD1 Superintendent, and Garrett Cushman, owner of Cushman and Sons, Inc.--during a regular meeting, held on Mondays at Noon at the Northeastland Hotel. Pictured are, from left, Past President Jeff Pangburn, Carpenter, Cushman, and President Frank Bemis.